On The Biggest Loser, pediatrician Dr. Joanna Dolgoff promoted weight losses so rapid that prior to her involvement with the Biggest Loser she herself had cautioned they were unhealthy, and while thankfully there are no kids on The Biggest Loser's upcoming Fall season, that isn't stopping her from using her influential platform to further misinform a nation about childhood obesity. 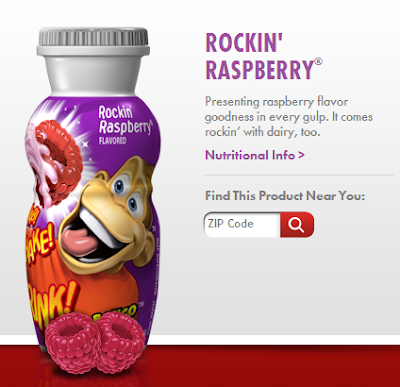 Her current project is called, "Rally for Recess", and it's a Dannon initiative designed to increase the sale of three of their products - Danimals Smoothies, Danimals Crunchers and Dan-o-nino drinks. It's charitable healthwashing in that with every product purchased schools, parents and kids are encouraged to mail their labels into Dannon and the school sending in the most is awarded a $30,000 playground makeover. Before I get into their nutritional breakdowns, for perspective, I want you to know that the percentage of calories coming from sugar in Ben & Jerry's Chocolate Fudge Brownie ice cream clocks in at 41%. These products? 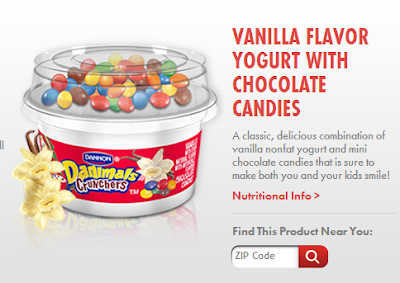 Of the Danimals Cruncher's 120 calories, 60% of them come from its 4.5 teaspoons of sugar, of the Danimals Smoothie's 60 calories, 66% of them come from its 2.5 teaspoons of sugar (crammed into a serving that's barely larger than a third of a cup with nary a raspberry to be found in its ingredient list), while Dan-o-nino drinks' see an astonishing 80% of their 70 calories coming from their 3.5 teaspoons of sugar. 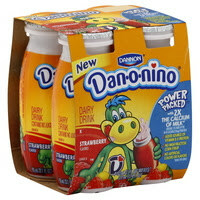 Of course Dannon's Rally for Recess is a brilliant move for Dannon. It directly encourages the consumption of their products in the name of charity, and by tying it to physical activity and school recess the program perpetuates the myth that childhood obesity is a consequence of inactivity and that childhood obesity can be treated or prevented by means of kids just running around a little bit more. In turn that may lead parents to not notice (or not care) that the yogurt based sugar-spiked desserts they're feeding their kids have a substantially greater percentage of calories coming from sugar than does Ben and Jerry's Chocolate Fudge Brownie ice cream. And what of recess? A wonderfully objective 4 year study that utilized accelerometers to measure kids' actual activity levels found that even a ten fold difference in physical activity did not protect against obesity. "Dannon is very committed to the health and wellness of kids"
Because what could be healthier than yogurt desserts with chocolate candies or drinks where 80% of their calories come from sugar, or an expert physician spokesperson supporting a marketing initiative that by its very nature encourages those products' excess consumption, or that same expert physician helping to perpetuate the myth that childhood obesity and inactivity are tightly linked and that the problem, or the solution, lies with more recess or simple play? I'm all for kids running around more, and I'm all for more recess, but to infer simple running around will help with childhood obesity (or that not running around led to childhood obesity) and to help to sell kids and parents dessert as a healthy snack isn't something I would expect from a pediatrician whose specialty is childhood obesity.